Taxpayers that file the 1040A or just the simple 1040 are able to qualify for the TurboTax free edition of the software, irrespective of the income. The Federal Free edition is simple, it only asks some questions, checks for errors and then assists to e-file for free. In case you want to itemize the returns since you have the mortgage, charitable donations, child care expenses or medical expenses, then this edition will not suit you. This version is available with similar guarantees like the other paid versions. But, filers who use this free edition do not enjoy live support, but there is the expanded set of available self-help tools in case you encounter a problem that you are unsure of. Additionally, the state version available for this edition is entirely free, implying that taxpayers with the simpler financial situations may file their taxes for $0. This is a very popular TurboTax software which the company provides. It aims at the average taxpayer without rental property, self-employment income or investments. This version assists you to complete the itemized deductions and pick the available credits. Support Center, that entitles you to a face to face guidance from the tax expert on what to expect and the way to prepare if you are audited. The premier version provides you with everything you receive from the Deluxe software, investments which are support related and rental properties. With this version, you can rapidly import the investment information from several institutions. If you are a taxpayer who is a landlord, this program will help you to fast find deductions related to the rental units. You will add the state filing to this version for 36.99 dollars. This version is newly retooled to become more helpful to the self-employed taxpayers. The programs offer freelancers, entrepreneurs and the side-hustlers with the all year round service via QuickBooks Self-Employed. You link it to the credit cards and bank account to QuickBooks and the Expense Finder characteristic scans and categorizes the spending to access deductible expenses of business which you could easily forget about. This version merges the ease and the convenience of doing taxes at home with the reassurance of having the tax pro available to answer all your questions and conduct the one-on-one review of returns. You can talk directly to a tax professional through one-way video. TurboTax Live features a user-friendly interface, thoroughness in deduction finding and 24/7 access to live tax pro assistance, who offers confidence as you file. 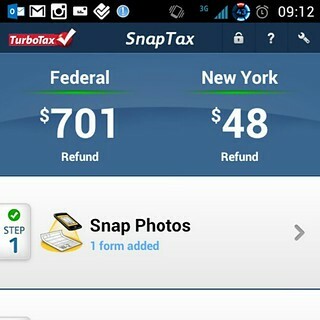 The Turbo Tax live also provides the 100 percent accurate, expert-approved assurance, that states you pay the IRS, interest or state penalty due to an error made on your return by the Enrolled agent or TurboTax public accountant, TurboTax will pay the penalty as well as interest and amend the return with no additional cost. With the Spanish tax experts, TurboTax live will help you feel comfy as you do your taxes. You can best purchase Turbotax online at the TurboTax.com. Also the popular electronics and retail stores like Costco, Staples, Sam’s Club, Target, Office Depot & Office Max, Fry’s, BJ’s warehouse and Meijer. You can also select online stores like Amazon.com. And it makes the perfect Christmas gift for those that want to file in early January.